On Saturday, February 16, from 9 a.m. to 2 p.m., the Arboretum will celebrate its Great Backyard Bird Count Day with hands-on activities, bird crafts and live bird demonstrations available to the public. 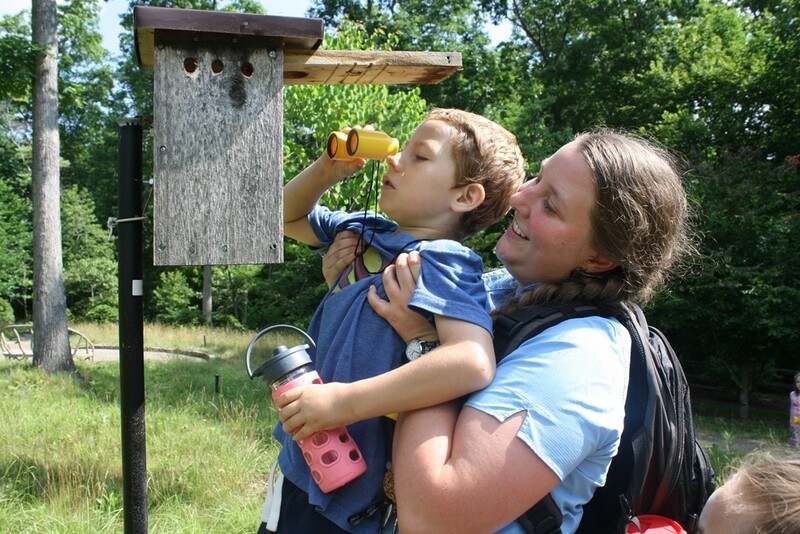 In addition, participants in the Arboretum’s ecoEXPLORE program who submit six “shares” during ornithology season will receive an invitation to a special ecoEXPLORER-only program during the Great Backyard Bird Count Day, as well as free parking at the Arboretum for that day. This program is free; however, standard non-member parking fees apply. Launched in 1998 by the Cornell Lab of Ornithology and National Audubon Society, the Great Backyard Bird Count was the first online citizen-science project to collect data on wild birds and to display results in near real-time. Since then, more than 100,000 people of all ages and walks of life have joined the four-day count each February to create an annual snapshot of the distribution and abundance of birds.The North Carolina Arboretum is located on the North Carolina Birding Trail, making it a great place for a morning hike and bird count. At the Information Desks you’ll find a pamphlet featuring a list of birds that can be seen on the grounds.